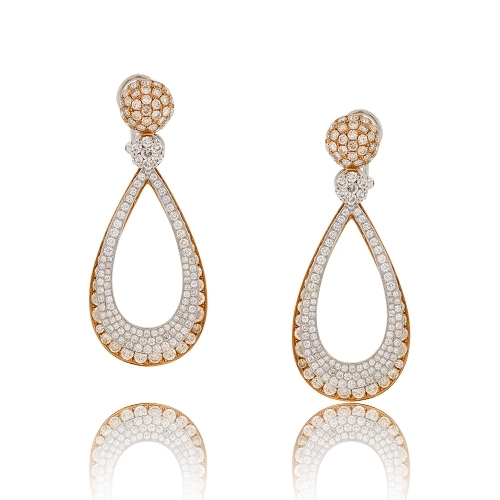 Diamond encrusted earrings set in 18k rose and white gold with contrasting champagne & white diamonds creating a dazzling effect. Diamonds approx. 10.15ct. Earrings 2.25"